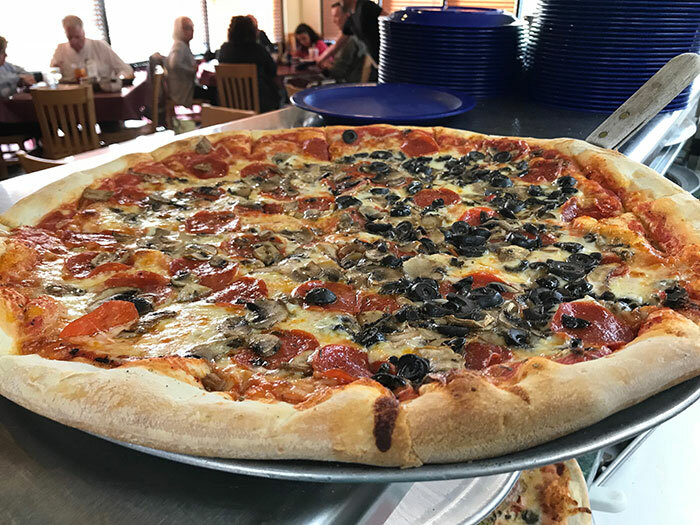 Antonio’s Pizza and Pasta is a family-owned restaurant serving up fresh, homemade Italian cuisine in South Wilmington (Monkey Junction), Midtown (Hanover Center) and near Wrightsville Beach. We care about quality and our customer’s experience dining with us. We specialize in New York style-pizzas and a wide variety of authentic Italian pasta entrees, plus daily specials that are offered during lunch and dinner. Our friendly wait staff always ensures you a pleasant dining experience, whether eating in, taking out or requesting delivery. The generous portions will leave you happily satisfied. Beyond our famous hand tossed pizza and hand-made Calzones and Stromboli, we also serve sub sandwiches, fresh salads, and pizza by the slice or whole pie. Not to mention classic Italian desserts like Tiramisu and Cannoli. We offer catering for small or large parties and gatherings. Ask us for a custom quote for your next event.